All your cards are AMAZING and so elegant, Many thanks for sharing them with us all. Love your Mother’s Day card. What embossing folder and die did you use. 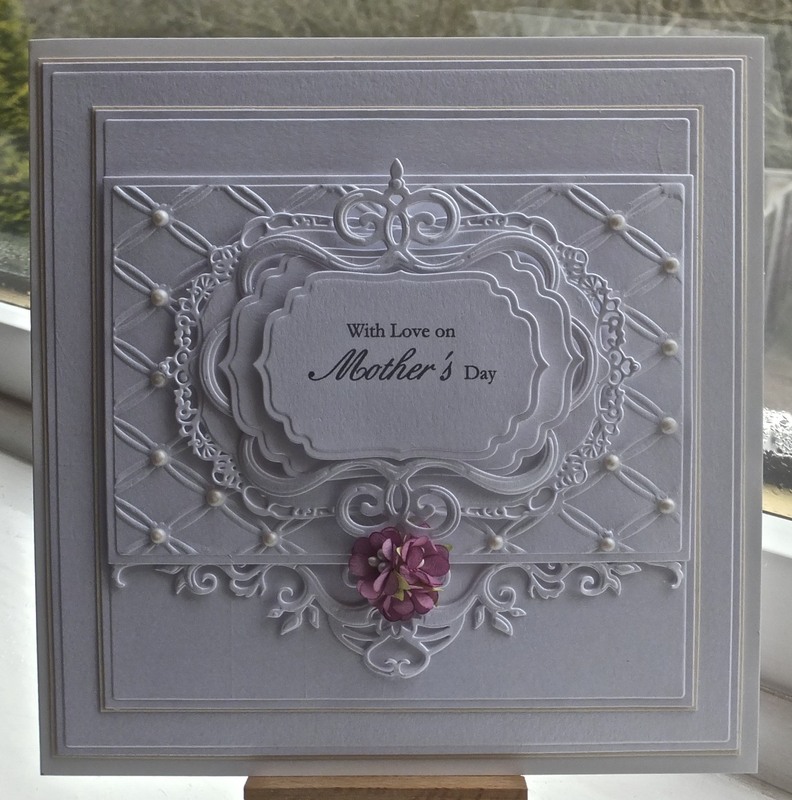 Beautiful cards,only looked to see how you used the embossing folder and loved looking thro your collection. Oh My. Your cards are the first I have ever seen that I want to emulate. Your style is sublime. The clean detail is a feast for the eyes. Your work is well balanced and proportioned; elegant and full of heart. Really beautiful! Could you tell me what is the embossed plate used to make the losanges please? Thank you very much.